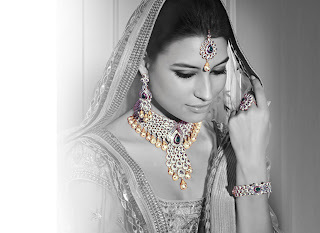 Since ancient times, India has been popular for two things – one, for various aromatic spices in food, which tingle the taste buds; and the second, being its love for gold jewellery While Indian traditional jewelery has already won the hearts of millions with its extravagant designs and colorful intricate artwork, some jewellery is not as famous as their counterparts. The jhoomar, tikka, rakodi and jadai banjara are some of them. Worn on the forehead, the tikka is a headpiece that forms a vital part of Indian jewellery. Decorating brides and temple dancers in the southern parts of India, this headpiece is usually worn by every woman in the North, irrespective of her age. The tikka collection of India is as diverse as the country, where it was born.